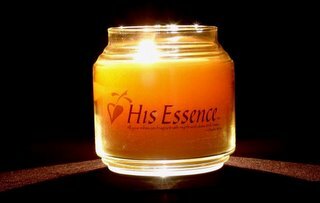 On the 6th day of Christmas you could show who is your "true love" by buying a "His Essence" candle, which is supposed to smell like Jesus will when He returns. Drawing from Psalm 45:8 the makers claim the "scent of his garments will be of myrrh, aloe and cassia." They apparently took this verse quite literally in making their candles (though how will you know that Jesus has returned if you can't smell Him over your candle?). It is $18.95.